We had so much fun cutting our tree down this year. We picked up a Forestry Service permit from Galena Creek Visitor's Center for $10 (limit of 2 per family). It included a map of three locations we could cut from. 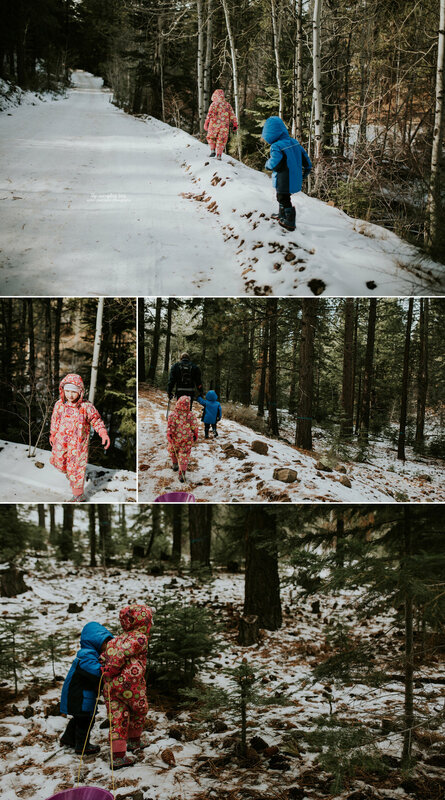 We headed down to Markleeville and Woodfords first, but there was a storm coming, so we waited until the following week, and headed north to Dog Valley instead. The roads are not cleared at all, so four-wheel drive and snow tires are probably a good idea for most locations. We walked around for several hours, and found a lovely fir tree. Enjoy a 60 second film and a few pictures from our adventure.